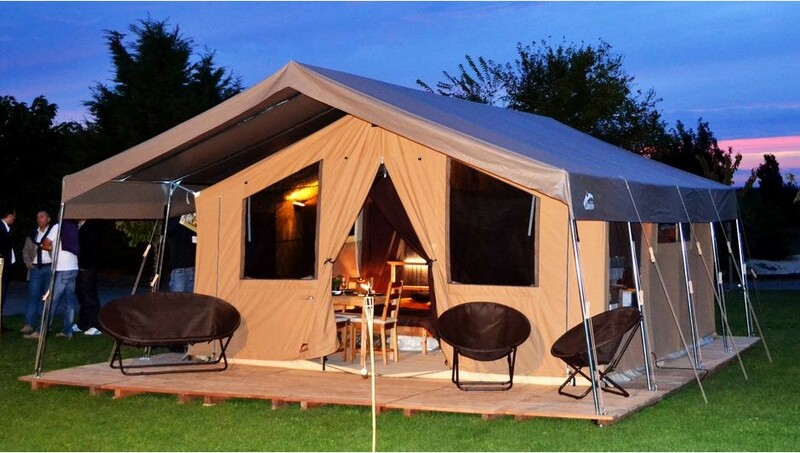 This high-end tent has a new elegant and unusual style and is fitted with a bathroom area. 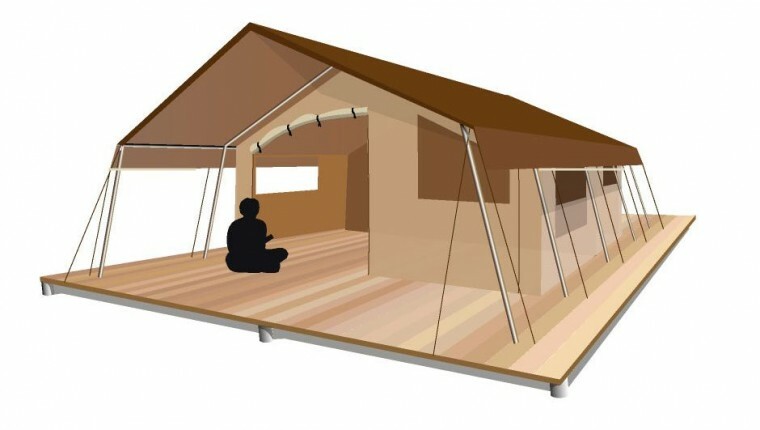 A triple roof assures natural air-conditioning and simplifies maintenance (protection in winter, optimised cleaning). 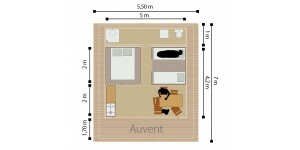 Your tenants will have totally privacy with separate bedrooms. 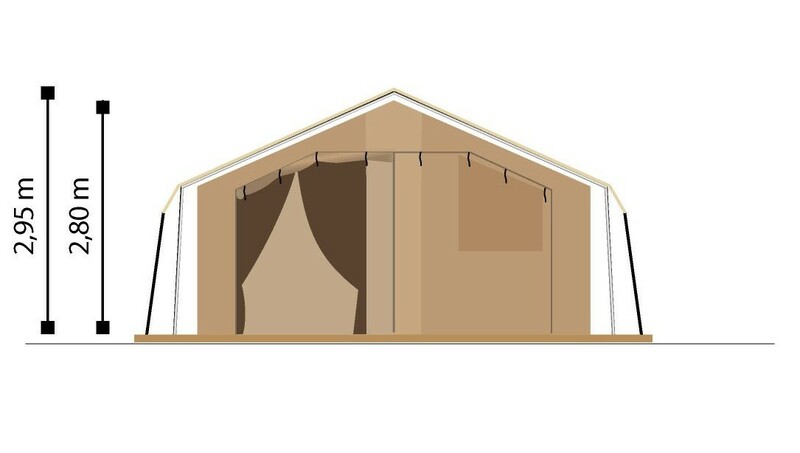 The front of the tent and the door to the parents' bedroom are fully lined with a mesh panel. 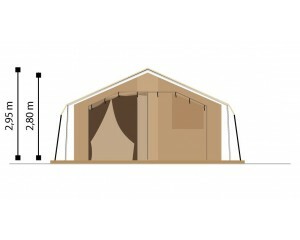 A large living area with roll-up front fully lined with mosquito screen opening on to the porch protected by a awning. 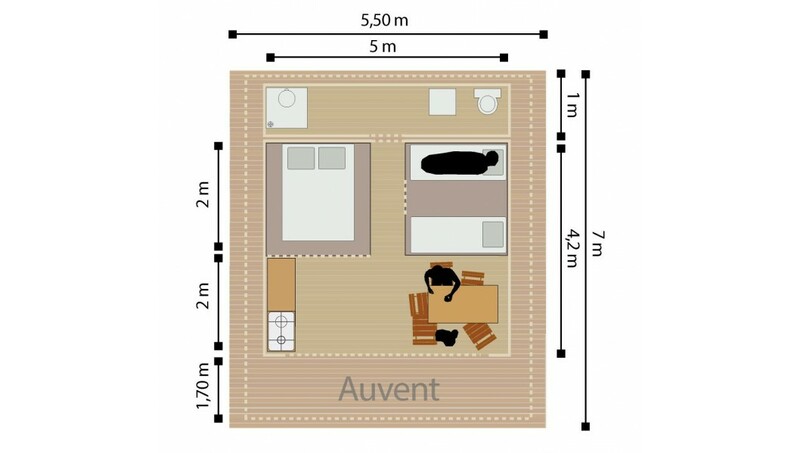 2 bedrooms are separated by a corridor: one opens onto the living area with a big door lined with canvas and mosquito screen, and the other opens onto the corridor via 2 tie-up panels, separated from the living area. 2 big windows at the front. 2 big side windows in the living area. 1 window for ventilation in each bedroom. Rear zip opening for access to the bathroom area (optional). Annex designed for bathroom equipment. 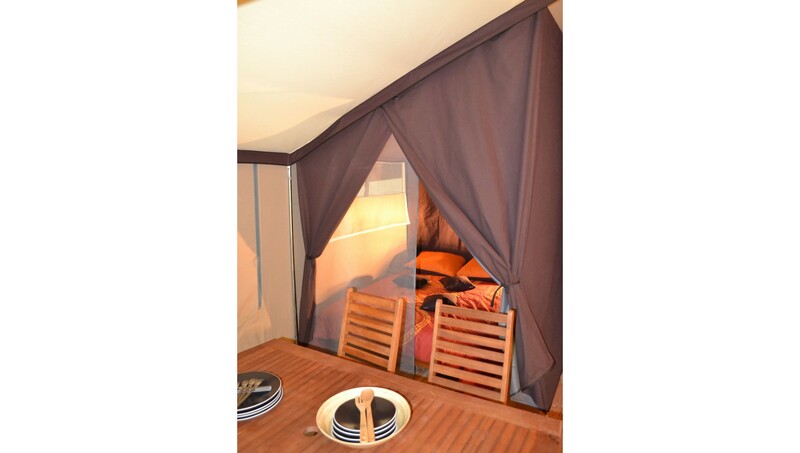 Adjustable protective lower-wall sections in transparent PVC, zip onto the outer wall (height 1m20). No bathroom equipment supplied. We can provide recommendations regarding equipment and installation. Complete kit of furnishing and fittings.